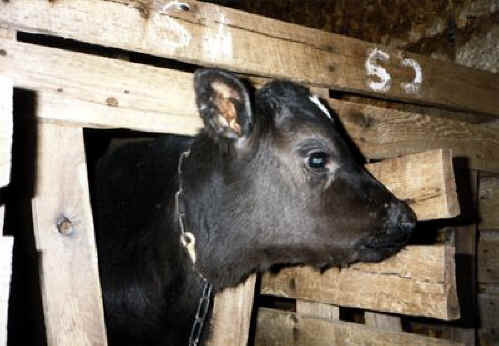 (Cattle Exploitation - Veal - 01) Since cows cannot produce milk unless they have calves every year, approximately one half will be males, and males don't produce milk. Most of the male calves are taken away from their mothers in two or three days and chained in crates so they cannot move and exercise. 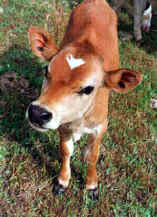 Then at approximately four months of age they are killed to satisfy the human lust for veal.